We have answered the call, and we are here to provide you with the high intensity workout you want without the heavy lifting. 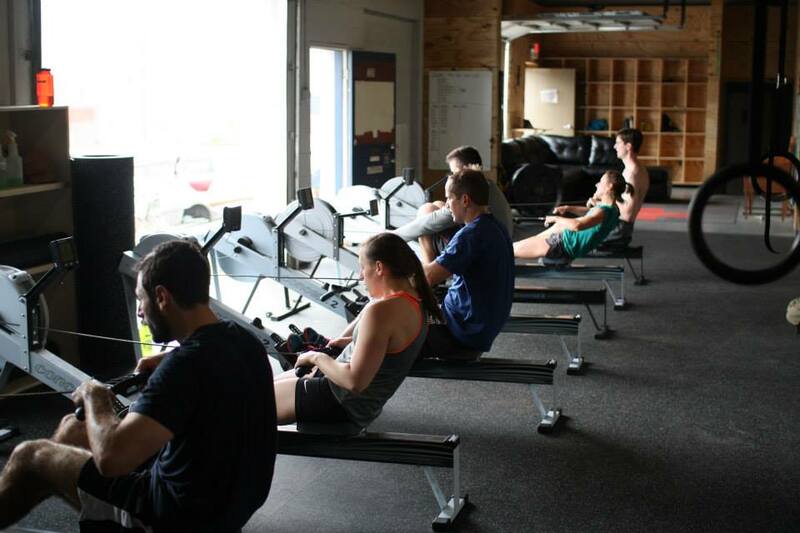 Introducing C’ville Burn!, our newest program at CrossFit Charlottesville. To provide you with a workout that gives you the conditioning and high intensity of CrossFit without the heavy lifting and complexity. You can expect a realistic approach to fitness where you’ll be exposed to a variety of dynamic exercises and functional movements. Anyone! There is no pre-requisite to join. If you are motivated, have been intrigued by CrossFit, and just want to kick start your overall fitness, then this program is for you. The workout is tailored to your needs, so beginners and advanced fitness athletes alike will experience a great workout! Try your first class free by emailing info@crossfitcharlottesville.com or calling (434) 260-0209 to schedule your free session. CrossFit Charlottesville, located at 1309 Belleview Ave off of River Road. 2 showers, filtered drinking water, and cubbies for your stuff at the gym. Classes every Monday, Wednesday, and Friday from 7-8am! Classes are 1 hour long and led by one of our experience CrossFit trainers. Classes begin with a group warm up and movement instruction specific to the workout for that day. Expect longer sessions where we ramp up the intensity and employ running, rowing, plyometrics, core strengthening movements, kettlebells, slamballs, dumbbells and lots more to give you a functional workout and get you in awesome shape. Classes will end with a cool-down or core circuit. Your first month is only $99, and beyond that memberships are $120 per month (with no long-term contract). It is FREE to members with a regular CrossFit membership. Please email info@crossfitcharlottesville.com with any questions on how to get signed up if you are not a member. Or try out a class first by emailing info@crossfitcharlottesville.com or calling (434) 260-0209 to schedule your free session. The membership includes access to Saturday make-up classes if you are unable to attend a Burn class during the week and want to make up the workout you missed. Email info@crossfitcharlottesville.com or call (434) 260-0209 to schedule your free session to try it out before signing up. We can get you signed up after that! If you are a current member of CrossFit Charlottesville’s regular CrossFit membership, please contact info@crossfitcharlottesville.com or (434) 260-0209 if you are interested in learning more about the program. We do not recommend that you combine this program with our regular daily WOD, but we can help address any questions or concerns you might have. Do you want to kick start your fitness journey and work towards becoming the best you? If the answer is yes, then you need to check out this program. If you have any other questions contact info@crossfitcharlottesville.com or call (434)-260-0209.